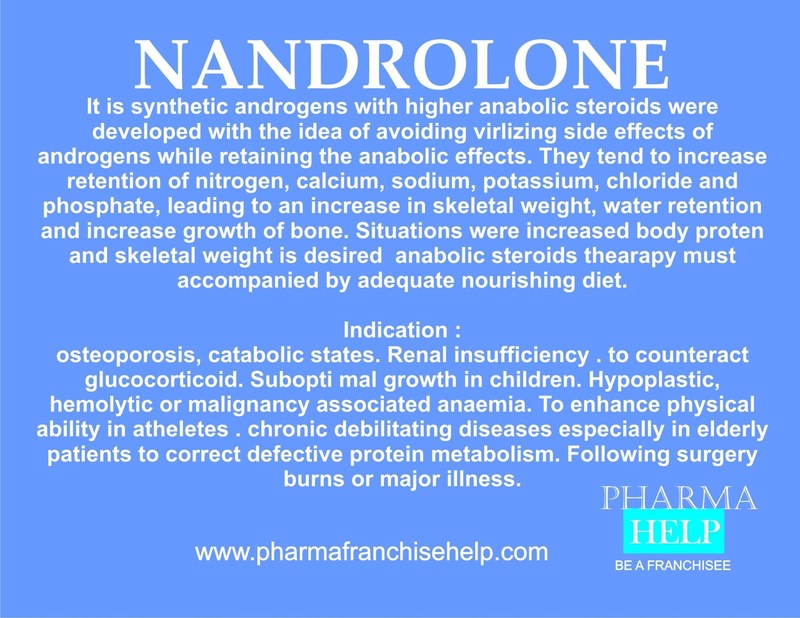 These are synthetic androgens with higher anabolic steroids were developed with the idea of avoiding virlizing side effects of androgens while retaining the anabolic effects. They tend to increase retention of nitrogen, calcium, sodium, potassium, chloride and phosphate, leading to an increase in skeletal weight, water retention and increase growth of bone. Situations were increased body protein and skeletal weight is desired anabolic steroids thearapy must accompanied by adequate nourishing diet. Subopti mal growth in children. Hemolytic or malignancy associated anaemia. To enhance physical ability in atheletes . Chronic debilitating diseases especially in elderly patients to correct defective protein metabolism following surgery burns or major illness.